The social act of eating is part of how we become human. If learning to eat is learning to become a human being, perhaps learning to eat together is learning to become a community. 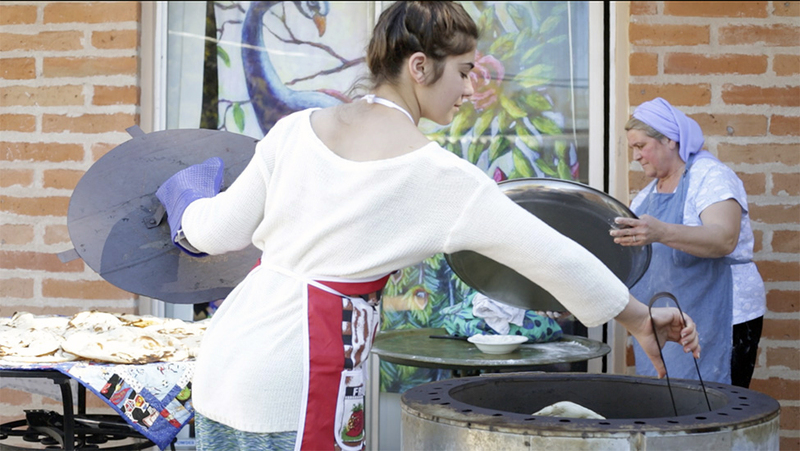 “Taste Bud Memories” is a documentary film focusing on local food and refugees in Tucson, AZ. The film aims to promote understanding of refugees’ experiences by connecting food resources, local geography and the public at large in a broader discourse about food and food security through people’s individual stories about food. We all eat food, food is not only the physical manifestation of our relationship with the natural world, it is also the common denominator across cultures. Through both food and food stories we will explore the experience of refugees who live in Tucson, and their similarities with the Tucson community they are now a part of. Taste Bud Memories from Ozlem Ayse Ozgur on Vimeo. Taste Bud Memories- Josepha’s Story from Ozlem Ayse Ozgur on Vimeo.